Eight hours after the Quicken Loans 500 was scheduled to start, NASCAR determined the final four for next Sunday’s Champion’s Round at Homestead-Miami Speedway. After a six-hour rain delay, Kevin Harvick once again proved to be the dominant driver at Phoenix International Raceway by leading 143 of 219 laps. 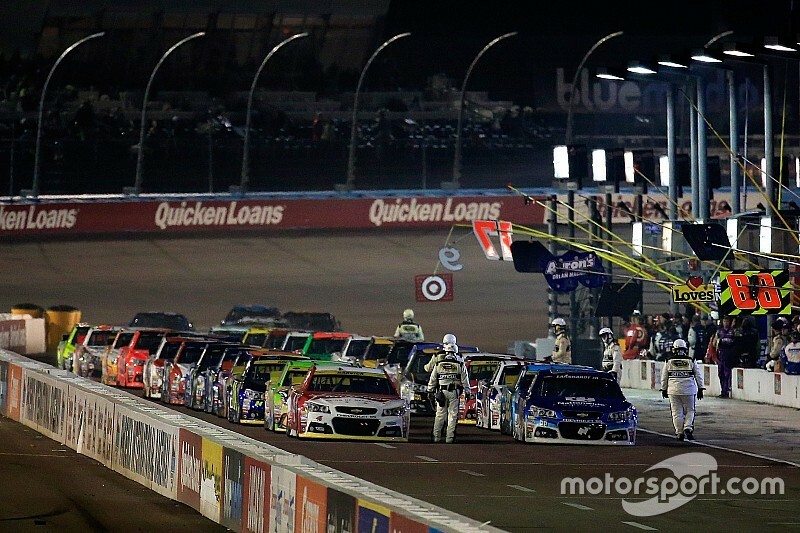 However, Harvick pitted on Lap 194 just prior to rain returning again at the Arizona track. And after the field cycled out, the No. 4 Budweiser Chevy found itself behind Dale Earnhardt Jr. Although Harvick lost the fight, the defending Sprint Cup champion knows all that matters if finishing ahead of his Chase competition at Homestead. 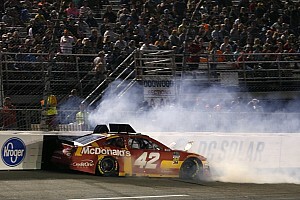 “I don't want to be greedy and be disappointed with how it went today when you look at the big picture,” Harvick said. “I think it's definitely been a Chase that's been a little bit up and down for us, but the guys have battled through, and we've survived a lot of situations to be in contention for next week. Jeff Gordon, the only driver to transfer to the final round of the Chase by winning a race (Martinsville Speedway) in the Eliminator Round, led four laps at Phoenix on Sunday but didn’t have a car as competitive as Harvick or his Hendrick teammates Jimmie Johnson and Earnhardt, who led 66 laps between them. But having missed last year’s Chase by one point last year, Gordon, who finished sixth on Sunday, is just thrilled to have the opportunity to fight for the title in his final NASCAR season. Before Sunday, Martin Truex Jr. had qualified for the Chase just twice in his 10 full seasons on the tour. He finished 11th in both playoffs. But after a rollercoaster ride with four different teams in the last seven years, 2015 has certainly been his most consistent to date. Under the direction of rookie crew chief Cole Pearn, Truex earned a career-best top fives (eight), top 10s (22) and laps led (564). “Just super proud of my team for the season we've been able to put together, and I feel like we've overcome a lot of obstacles,” said Truex, who finished 14th with a five-point advantage over Carl Edwards to earn the fourth and final spot in the Chase. “We have kind of overcome a lot of odds, and just proud to be part of this group and looking forward to having the opportunity to do something that we've all dreamed about our whole lives next weekend. Nearly nine months ago, Kyle Busch wasn’t sure whether he’d be racing at all — let alone in the Chase for the Sprint Cup. 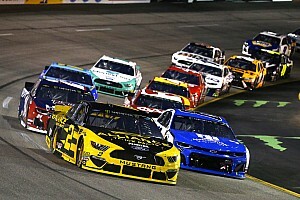 After Busch sustained a broken leg and a broken foot in the season-opening XFINITY Series race at Daytona, Busch missed the first 11 races of the season. Following a valiant comeback that included four wins, 11 top fives and 15 top-10 finishes, Busch finds himself battling for the Sprint Cup title in the season finale for the first time in his career. “It’s been a different year I would say than years past,” Busch said. “Just happy for the way things kind of turned out. Obviously we had a dismal start there in Daytona – unfortunate circumstances kind of had me hindered for the first part of the season, but my guys never gave up. They had David Ragan in the car, Matt Crafton and Erik Jones and they persevered through all of that and was able to keep motivation going and keep a strong team lined up for when I was able to return.